President Trump has vowed to reduce income taxes and perhaps he will, but it's unlikely that every taxpayer will benefit equally. That's not surprising since the tax burden currently falls so unevenly on different types of taxpayers. High-income consumers, for example, are taxed at a higher rate than lower-income workers, which makes perfect sense. What perhaps doesn't make as much sense is that childless single people are taxed at a much higher rate than married people. You can argue that this is intended to encourage raising families and so forth, but critics say it amounts to a harsh tax on those who, for whatever reason, remain single and childless. How bad is it? Pretty bad. According to the Organization for Economic Cooperation and Development (OECD), the United States' tax on singles, at 16.9%, is the eighth highest of the 35 OECD member countries. It's nearly three times the average 6% rate paid by an American family with one breadwinner and two children. So what's a single taxpayer to do? Yes, you could run out and get married, but there are other steps you can take that are not quite as drastic and will still reduce the tax bite while helping you build your net worth. Switching to a Roth 401(k) and making IRA contributions sooner rather than later will put you on the road to building a healthy nest egg while reducing the tax man's share. Student loan interest. Everyone is currently complaining about student loan debt, but every penny you pay in interest can be deducted from your income taxes in most cases, so don't overlook it. And if at all possible, stay current on your loans, since penalties imposed for past-due payment may not be deductible. Job-related expenses. The money you spend on job-related expenses is deductible in most cases. If your employer reimburses you for some or all, that amount will be reported to the IRS as income so it's essential you deduct all of the expenses to avoid paying taxes on the reimbursement and get the deduction for expenses that aren't reimbursed. Job-hunting expenses. If you're trying to find a better job, many of the expenses you incur may be deductible. Keep track of the money you spend traveling to interviews, sending out resumes, and paying fees to online sites and other venues. Job-related moves. If you live in Des Moines and you land a new job in Chicago, the moving-related costs will likely be deductible. Be sure to keep track of them. Reservist expenses. Are you in the military reserves? Many of the expenses you incur are deductible. Health expenses. If you contribute to a health savings account or if you have unusually high medical bills that are not picked up by insurance, you may be looking at a healthy deduction. Taking advantage of all these deductions is fine, but doing it yourself can be tricky. 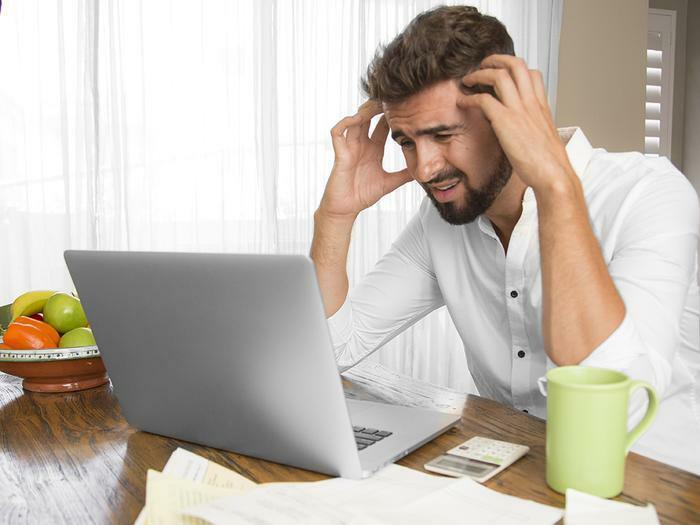 The IRS forms are not exactly intuitive and it's easy to overlook a deduction or, worse yet, claim something you're not entitled to. So unless you're a tax nerd, you'll want to hire an accountant or use one of the many online tax prep services. Many online services now provide answers to most basic questions and can help you find and claim the deductions to which you're entitled. You'll find a complete run-down, including consumer and expert reviews, in our Tax Software Buyers Guide.